I make my first day a little more manageable by thinking about it like a relay race: you take the cab, get through airport security, wait at the gate, take the 15.5-hour flight to Taiwan, wait at your next gate, take the flight to Macau, pick up your bags, and get to the hotel. That last part worries me. I'm ashamed that I'm traveling to a foreign country without knowing basic pleasantries, like how to locate the nearest toilet. So I panic when—after a 20+ hour day of traveling—I find that I am not on the festival's guest list (not the one at the airport, anyway). I feel like an inconvenience, and lose my temper: Look at the emails, here I am. They make me hail a cab, which is a special nightmare of mine. At least the festival volunteers are kind enough to tell the cab driver where I'm going. But what happens when I have to get a cab independently? That momentary inconvenience seemed more daunting during my trip's first few days. Thankfully, my biggest preliminary concern was jet lag. No sweat: I cradled my head for three days and slept way too much. Still, I only got my bearings on days two and three. There's Christmas music playing everywhere, though the weather is just like spring: a bit breezy since we're so close to the water, but the sun is strong, so you can never forget that it's between 60-70 degrees. Locals wear light jackets and polo shirts. Many signs are in English, Portuguese and Chinese though the dominant spoken language is Cantonese. ScreenAnarchy's Asian editor James Marsh tells me that we're just an hour-long ferry ride away from Hong Kong. And there's amazing-looking/smelling food everywhere. Try some dim sum, chicken feet and those steamed pork buns that you can never find when you're hungry for them. There are casinos everywhere, so you'd think that you'd have to take a cab to get anywhere. Thankfully, there is a festival shuttle bus that operates until 10pm. And I can walk to the nearby Cultural Centre and Science Center, two main festival venues. Still, it takes me a while to find anything. The more I walk around, the less I feel like an imposter. I'm staying at the Harbourview Hotel, a casino located in Fisherman's Wharf on Avenida Dr. Sun Yat Sen. Across a nearby bridge is Taipa, a small island with enormous casinos that are routinely mobbed with Hong Kong tourists. You can tell they're from Hong Kong because they flock to and from shuttle buses that will take them over the bridge and back to the Hong Kong ferry. At least, that's what the English language signs tell me. Still, the festival has some theaters/venues here in Taipa, namely the Galaxy and the Venetian. These are huge resorts with dozens of restaurants and boutiques in their various lobbies. If a zombie apocalypse broke out today, I'd go to Taipa and know it'd take a couple of days before I get eaten. 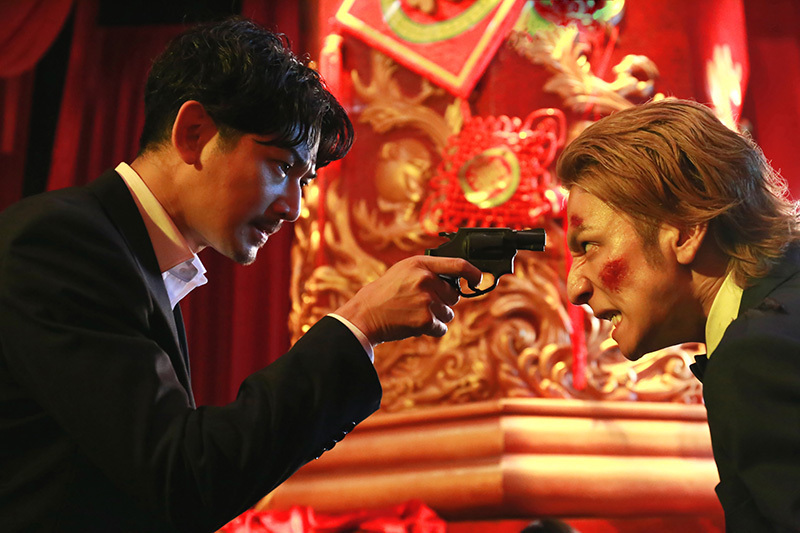 On the third day, the Venetian hosts a gala premiere of "The Mole Song: Hong Kong Capriccio," a delightfully ridiculous action-comedy from Japanese enfant terrible Takashi Miike ("Audition," "Zebraman"). I take the shuttle bus without much difficulty; it takes a little more than a half hour, but it feels like less time passes. My jet lag is still sadly with me, yet I don't feel it as much by day three. Screenings start promptly but guests are not allowed into any venue until about 5-10 minutes before start-time. The movie theater at the Venetian is massive. It reminds me of New York's dearly departed Ziegfeld, a Midtown Manhattan movie palace that could seat 1,152 people (it closed earlier this year, unfortunately). Imagine that, only twice or three times as big. This is where Miike's big-budget cops-vs.-yakuza policier screened for maybe 50 press and industry members. Pinch me: this is a Taskahi Miike movie, right? Violent tone shifts, characters randomly explaining themselves through animated intertitles (including a fourth-wall-breaking song number), an introductory "Previously On" recap of the last film's events that's delivered by a screaming naked man (Tôma Ikuta, the series's expertly goony lead protagonist), and a concluding showdown with a CGI tiger that includes BASE-jumping and hilariously surreal dialogue like "You're under arrest for disgracing Mr. Sunshine!" This movie is deliriously exhausting, jet lag or no jet lag. Very Miike. But wait, this is insane: if "The Mole Song: Hong Kong Capriccio" were released in America, it'd be dumped in two or three theaters in New York City. I would have to watch it on my laptop, not a big screen in a megalithic, multi-tiered big theater. After all, Miike is a star in Asia, even if American distributors treat him like the leader of a cult of 40-year-old Caucasian man-children. Never mind that these are popular films made for mass audiences: in America, these movies are treated like fetish material for misguided pseudo-populist weirdos. But here in Macau, Miike's sequel is a big deal, despite the yawns and confused chattering of press and industry colleagues. Marsh is kind enough to show me around the Galaxy, which is just across the street from the Venetian. There's a multiplex here, one that I would later spend the better part of day four inside. 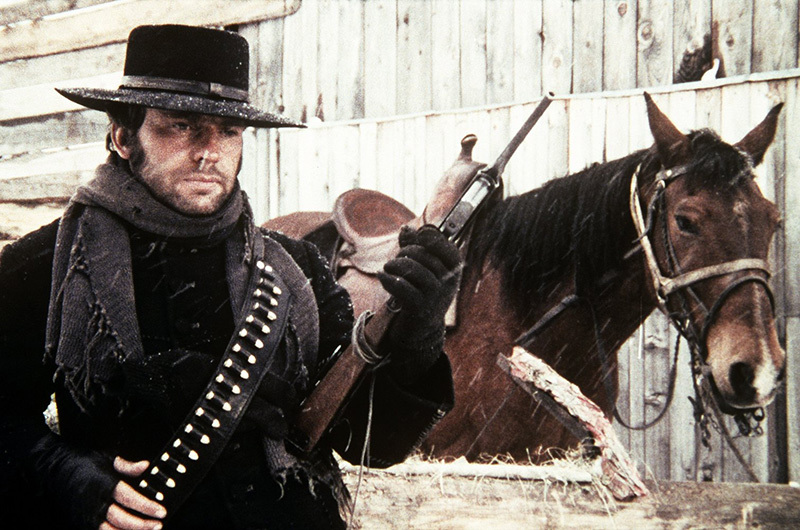 After that, we take the shuttle bus back to the Cultural Center, where they screen "The Great Silence," a powerfully bleak spaghetti western that had a major influence on filmmakers like Miike and Quentin Tarantino. "The Great Silence" is screening as part of "Crossfire," the festival's sidebar of older films guest-programmed by famous East Asian filmmakers. All of the films either feature English subtitles—as "The Great Silence" did—or are in their original English language. There are no Chinese subtitles or Chinese dubs, a practice that Marsh tells me is not uncommon for Hong Kong and Macau audiences. Sometimes, guest programmers, like Ji-Woon Kim and Chan-wook Park, introduce the films and explain why they feel so attached to/influenced by movies like "Walter Defends Sarajevo" and "The Umbrellas of Cherbourg," the latter of which was chosen by Hong Kong action god John Woo. At the end of day three, I am reminded that I am still jet-lagged, which prevents me from venturing out to an 11:30pm show of "Antiporno," a new film by Japanese filmmaker Sion Sono ("Love Exposure," "Suicide Club"). I feel like I'm missing out, but I make up for it on day four by watching six films in a row.